Chairperson of the portfolio committee on police announced the activation of a team to look into bribery and corruption among police. 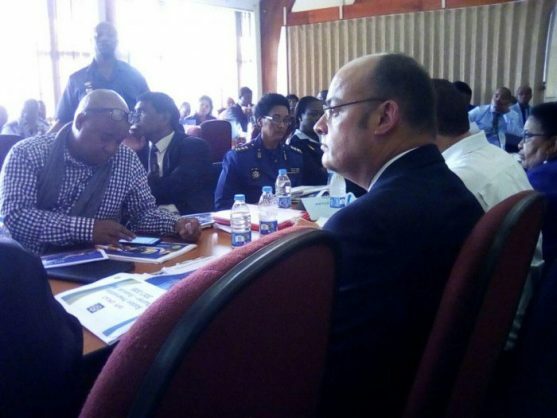 Following the explosive bribery claims made by Reverend Mbongeni Simelane in a recent interview with eNCA, the portfolio committee on police has welcomed the activation by the national commissioner of a team to look into bribery and corruption amongst police in the Westville area in Durban. According to SA Gov News, chairperson of the portfolio committee on police Francois Beukman raised alarm at the allegations that were made by Simelane after he claimed on live television that Mandla “Mampintsha” Maphumulo bribed police officers at Westville Police station to ensure that his abuse of Bongekile “Babes Wodumo” Simelane was not investigated. Beukman went on to implore the national commissioner of the South African police services (SAPS) and the provincial commissioner to urgently investigate these allegations. “If bribery is found to have taken place, the officers concerned must be prosecuted,” added Beukman before stating that “this will encourage women to report acts of abuse with the knowledge that proper investigation will be done”.